For Halloween, I thought we'd take a look at one of the more unsettling new additions to my library, Al Columbia's Pim & Francie: The Golden Bear Days. Al Columbia is a relatively new find for me - I'd seen him in various comics anthologies like Mome and the Best American Comics compilations, but it was the publication of Kramer's Ergot: Volume Nine earlier this year that made me frenetically want to build my library with whatever's out there. (He had an amazing full-page comic of Pim & Francie summoning demons in an old ramshackle house.) I was amazed to find out that with the exception of a few comics like Doghead and The Biologic Show from the 90s, there was only one book: Pim & Francie: The Golden Bear Days, and it had been out of print for years. They knew they were going to "die out here", and began the story cowering among some anguished trees. Terrifying, but what an incredible vision. The best thing about The Golden Bear Days is its consistent resistance to being a compilation of completed strips. 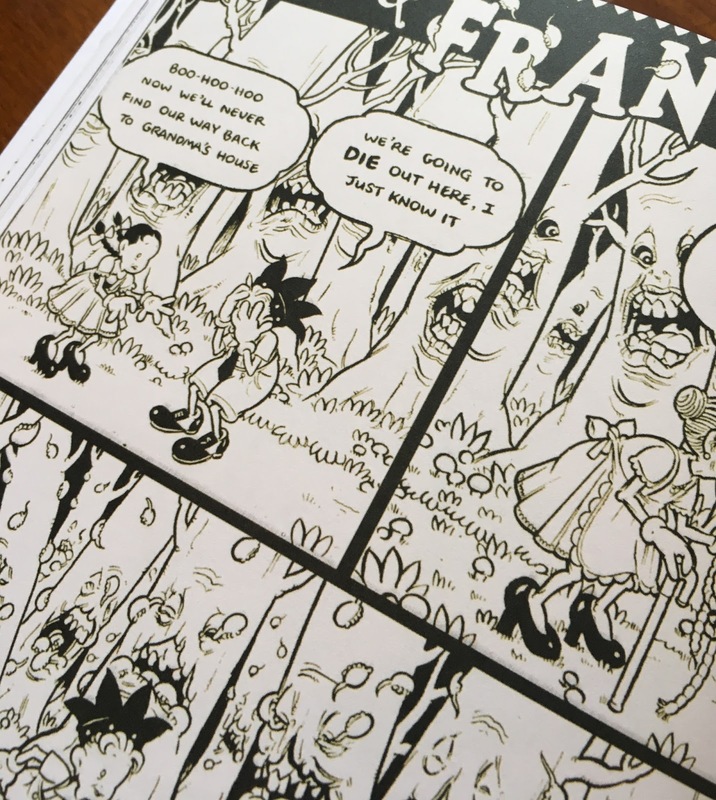 While some stories gel into a few sequential frames, the book as a whole resembles more of a sketchbook, with morbid scenes floating among its pages. Pim & Francie are repeatedly maimed, murdered, and hoodwinked in a deliriously free-form manner. Zombie clowns give way to scenes of old, predatory men shaped like Goofy, and fall apart into sketches of some arcane hexes and hooded occultists. It's absolutely mesmerizing. The book's got a great design on the outside as well, with the illusion of being a worn old picture book printed into its boards and spine. 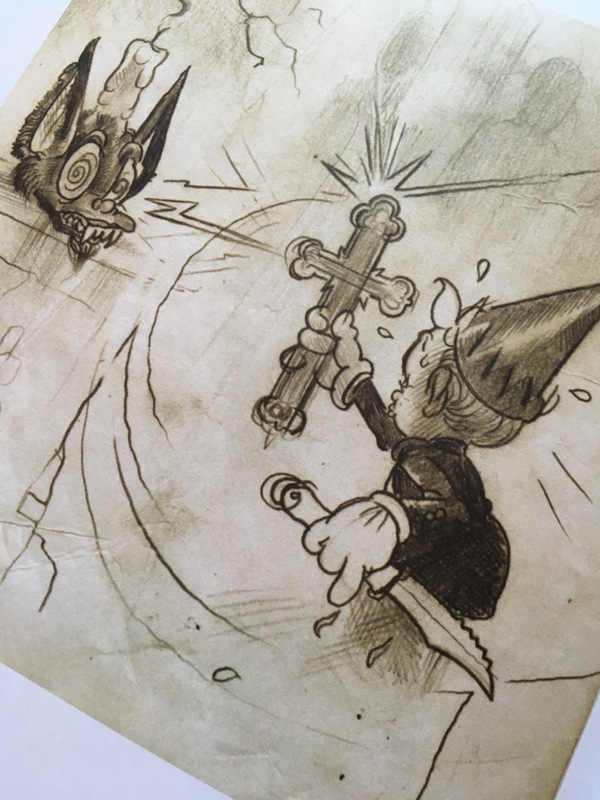 I'm keeping an eye out for more by Al Columbia. He's done some incredible paintings, and some drawings have come up on eBay in the past few months. Occasionally some new silkscreens will crop up, too, such as the amazing "Jack Never Woke Up" that I missed over at Jordan Crane's WHAT THINGS DO shop). Ok, now I'm just confused... I just ordered this book from Fantagraphics for $30. I wonder if it's a new printing or if they just haven't updated their webstore in seven years?? Wow - great that its coming back in print. Shame I couldn't have put the extra bucks I paid towards Columbia, but what can you do? I wonder if they'll be adding any material or updating it. Thanks for the tip! Just received it a week ago! I love this thing so much! It's just as bizarre/disturbing/unsettling/beautiful as I hoped. I don't see any indication that the contents are different from the first edition, I'm pretty sure this is just a straight-up second printing.